February seems like an odd time to go to the beach, especially in New England. However, 30 members of the Church of God in New Hampshire were looking forward to the outing. They didn’t go as surfers, they went as volunteers with the purpose to make a difference in the environment. 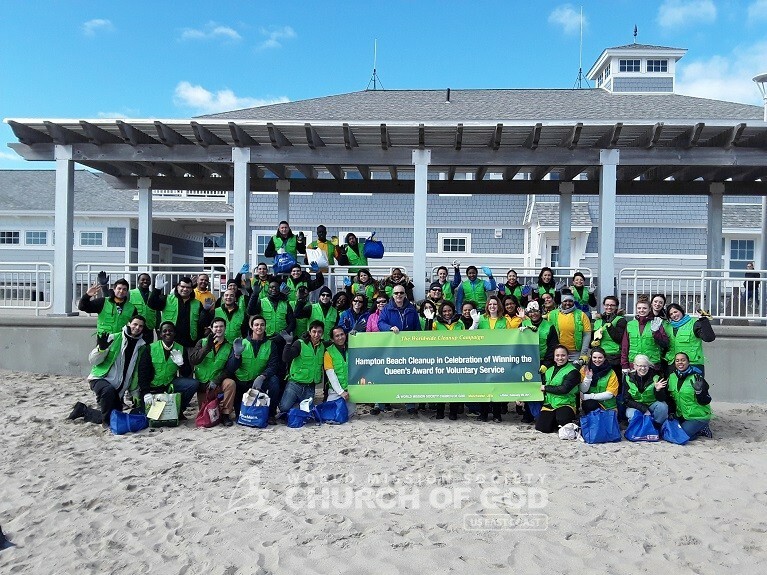 The World Mission Society Church of God partnered with Blue Ocean Society for Marine Conservation for the Hampton Beach Cleanup. 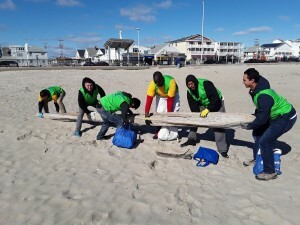 The task: cleaning up litter and getting rid of anything that didn’t belong in the sand. 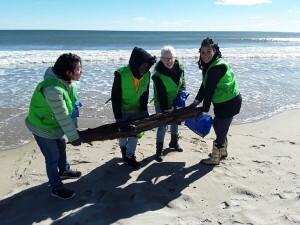 As the volunteers approached Hampton Beach, they weren’t sure how much trash they’d be able to collect. From far away, the beach looked cleaned. However, as they drew nearer to the shore, the need for volunteers became evident. Volunteers quickly dispersed and immediately started pulling glass, plastic and aluminum bottles out of the sand. Fishing gear also made its way into the volunteers’ trash bags. 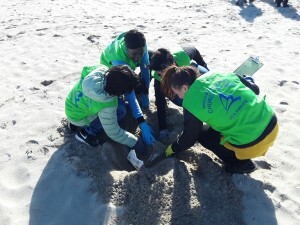 A Blue Ocean Society member educated the volunteers during the cleanup, explaining that smaller items—like cigarette butts and pieces of plastic—have the most fatal effects on marine life. Fish and other animals tend to mistake these small pieces of garbage for food. And when they eat it, it harms their insides and many of them die. Additionally, trash has an extended impact on ocean life, that can span a large area. Most trash takes many, many years to decompose, so properly getting rid of it benefits the future of our oceans. The World Mission Society Church of God has carried out more than 2,940 worldwide environmental cleanups as of February 26, 2017. The Church of God will continue to do its best to improve the environment and serve neighbors with the love of Christ. They are doing cleanup with sincere mind! It is true shinning the glory of God! Great! Good job you guys! Keep up the good work Church of God! Your actions are very good! I feel Heavenly Mother’s love!! How nice their work is! It is beautiful that they don’t lose their smile even during hard work! I want to also enjoy wonderful good deeds with wmscog! Thanks for active interest in the environment. At this time when environment pollution becomes a problem, we convey message of encouragement and appreciation to volunteer who is interested in volunteer. You are important people in this age. God bless you!